How are you guys doing? It's the second week of April already! The first quarter of the year just flew like that! Wow! Is the earth spinning or what? 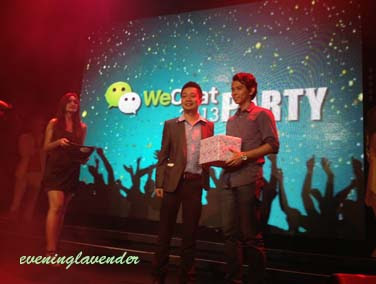 Recently, I attended the WeChat launch party at Neverland. It was a blast! There were so many people and so many activities going on at the same time. The MC was very funny. He cracked jokes all the time. 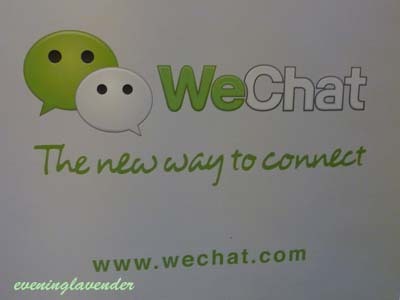 WeChat is a new mobile communication tool that provides multimedia communication flexibility and convenience with text messaging, voice messaging, video-chat, photo/video sharing, location sharing and contact information exchange. WeChat works on iOS, Android, Windows phone, Symbian and Blackberry devices. WeChat supports group chats and connects friends across platforms. 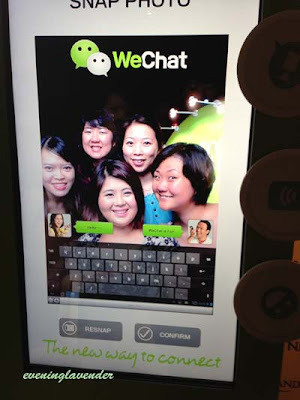 WeChat can be downloaded free from www.wechat.com.WeChat can be registered via your Facebook account or phone number. 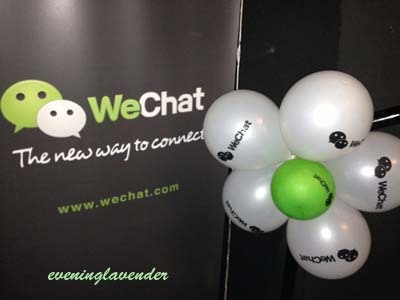 To date WeChat has more than 300 million users. 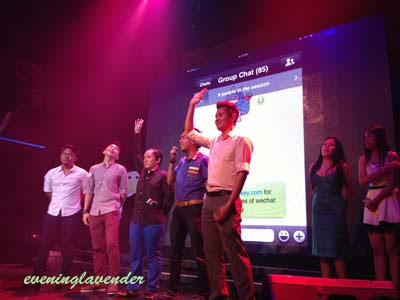 WeChat supports up to 17 languages including English, Mandarin, Indonesian, Protuguese, Thai, Vietnamese, Russian and Bahasa Malaysia. 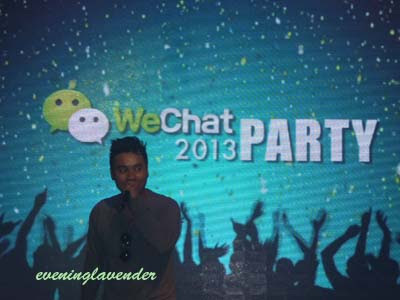 There were a huge crowd at WeChat Launch Party. A photo booth was set up allowing patrons to take instant pictures. It was fun! 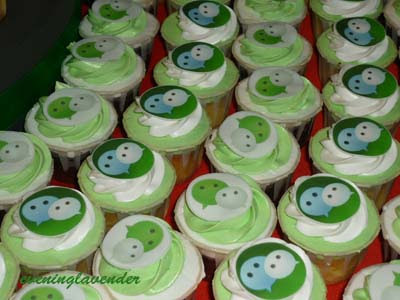 The cute cupcakes with WeChat logo. So creative! 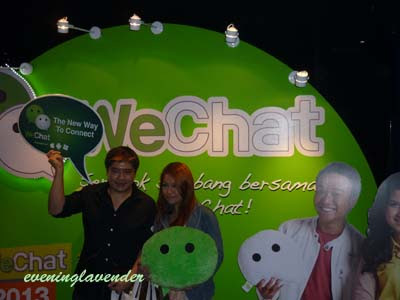 The crowd seemed to have unending photo sessions at WeChat backdrop. Such an eye catching backdrop. 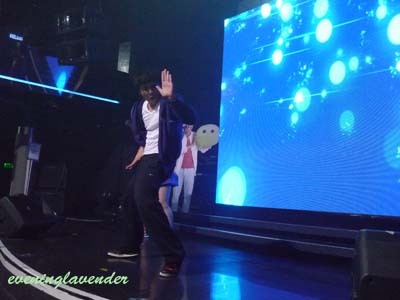 The party started with the performance by 2 Chinese artists entertaining the crowd with some popular numbers. 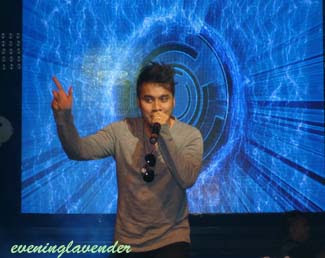 The performance continued with Awi Rafael who stole the scene with his popular songs. His songs were very upbeat. 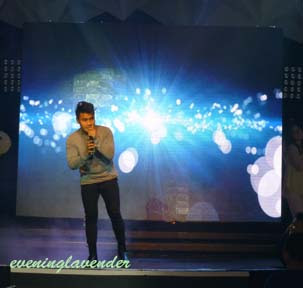 His good showmanship and his interaction with the crowd might have melted some hearts. 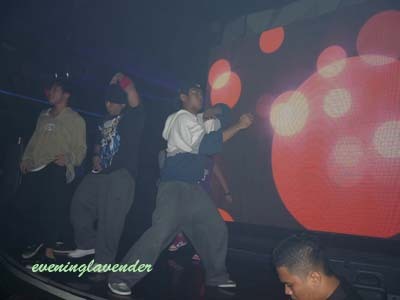 A group of dancers performing their creative dance move with the high tempo music. Very entertaining. There were several sessions of games where the crowd were invited to challenge themselves with some trick questions. Everyone was so eager to win something and almost all the time they blurted "WeChat" as the answer for almost any questions posted by the MC. Hilarious! The winning team posed with their prizes! 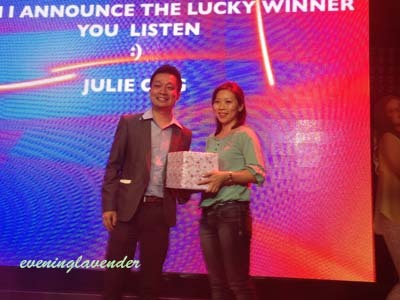 Finally, the lucky draw winner which happened to be my friend! Congrats Juli! 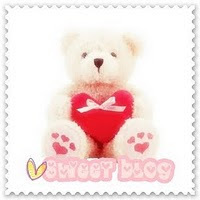 Do visit www.wechat.com to download the free application. You can try it out and who knows you might fall in love with it! 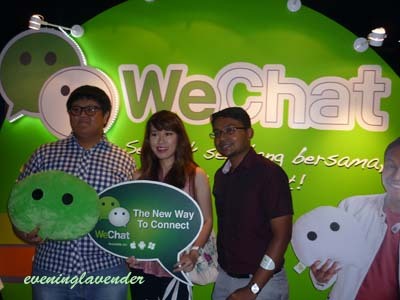 Last but not least, WeChat has appointed 2 new ambassadors - Lisa Surihani and Shaheizy Sam. You can watch the TV commercial at http://www.youtube.com/watch?v=CSzHzFwYflg. 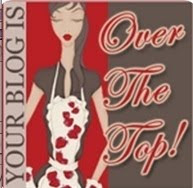 Stay tune and I'll be back with some beauty news! 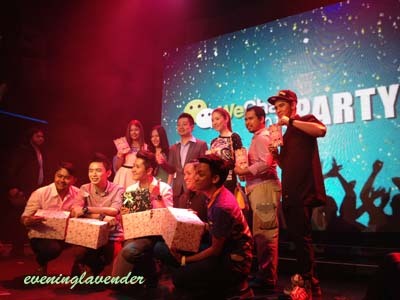 I am Angeline co-owner of Party Hat team. 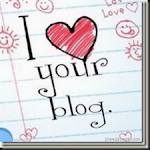 I came across your blog today and was very impressed. My team provides services to various party ie birthdays, full moon, weddings, girls' night out, bridal shower, anniversary, school events, etc. 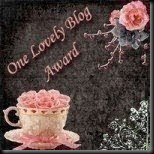 I would like to invite you to join our Review & Reward Program.